The first day of the Future Luxe conference 2011 organised by Luxury Briefing got off yesterday to a fantastic start, (20th January), with the resounding pop of (many) champagne corks and with about 250 triple G's, (glamorous, gorgeous, guests). Great speakers and great dinner in the Dorchester. The conference speakers were diverse and had much to say. Of particular note were Matt Webb from Berg, Gerry McGovern Design Director of Land Rover (check out the upcoming 'Evoke'),and, for me, the final panel of the day with Nadja Swarovski, Vice President of Swarovski; Marigay McKee, Fashion Director of Harrods; and Ellie Patsalos, Vice-Chairman & Partner, Deloitte. This panel was chaired by Kate Reardon, formerly Contributing Editor of Vanity Fair and recently appointed as Editor of the Tatler. It is clear that luxury brands are here to stay with issues of relevance, extreme customisation and experience design top of the agenda. Not too many fears of recessionary pressures apparent. Marigay McKee made a plea for more 'good old fashioned charm and manners' which seemed to particularly resonate with delegates. Gerry McGovern stated that design lies at the core of the product and the brand at Land Rover and it is that which will give them access to new customers and create differentiation. Sustainability did feature even at this level of the market with sustainability credentials being increasingly seen as a compelling and important part of the brand story. Innovation comes in many forms and always changes our view of what is possible. The eighth conference of APCI in France took place in Paris on Monday and Tuesday of this week. A mixed and very interesting two days. Congratulations to Jean Schneider and APCI for making it happen. And this has already seen the appointment of Aalto University as Secretariat to the European Design Innovation Initiative which will include a European Design Leadership Board. 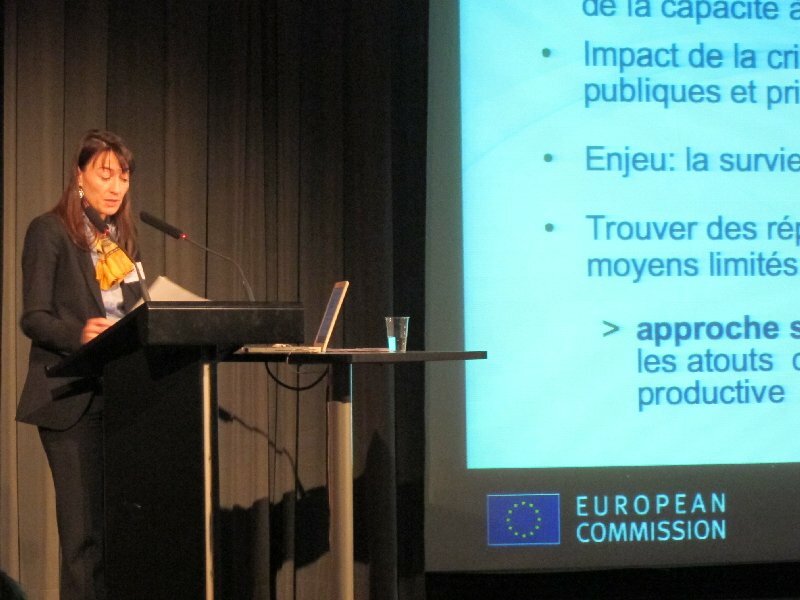 The European Design Leaderership Board, membership of which is yet to be announced,will comprise 15 persons and will be tasked to create a vision for design over the longer term with the designation of pilot projects, including perhaps exchange of good practice and other measures to promote design. It is non-legislative. And this Leadership Board will not be only a talking shop. The Commission has already earmarked around €3 million for 2011 out of the CIP (Competitiveness and Innovation Programme) with an intention by the Commission to publish bids by summer 2011. Finally, Christine spoke of the meeting of the European Council that is scheduled for 4th February 2011 at which Heads of State and Governements could be discussing the Innovation Union and its commitments and might mention design in the discussions.